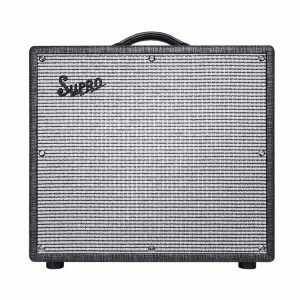 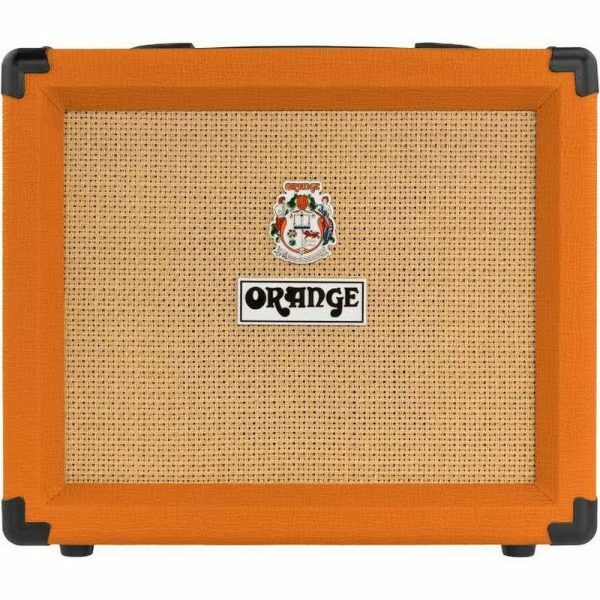 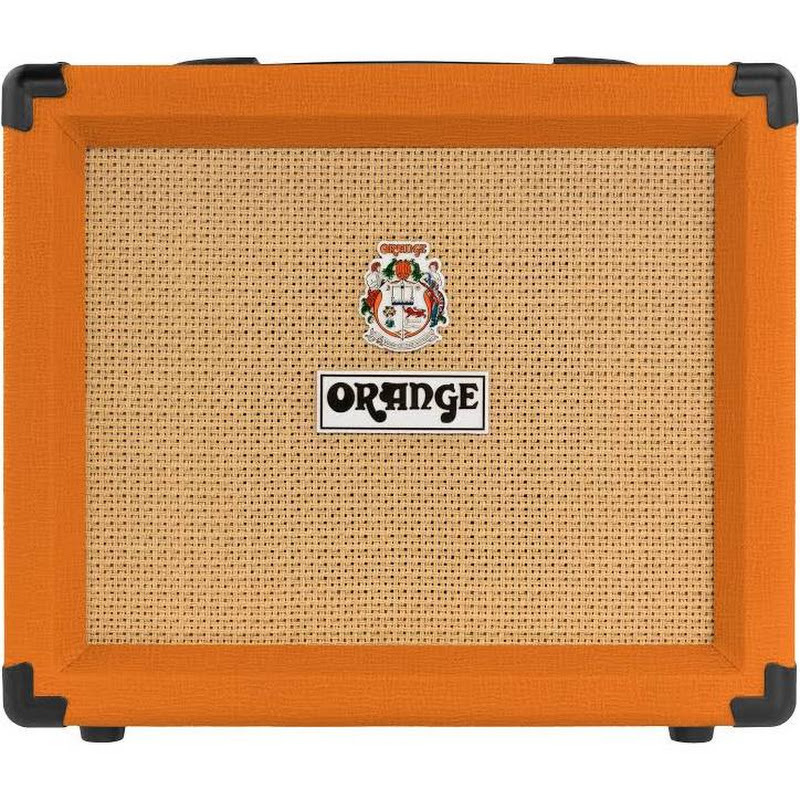 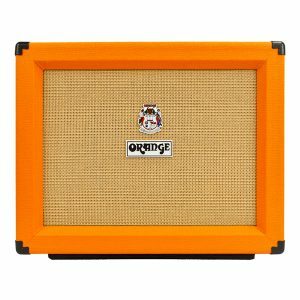 Orange’s commitment to analogue amplifier circuitry in a digital age ensures Crush amps possess the lively feel and responsiveness that Orange is famous for, inspiring guitarists to play their instruments, not the technology. 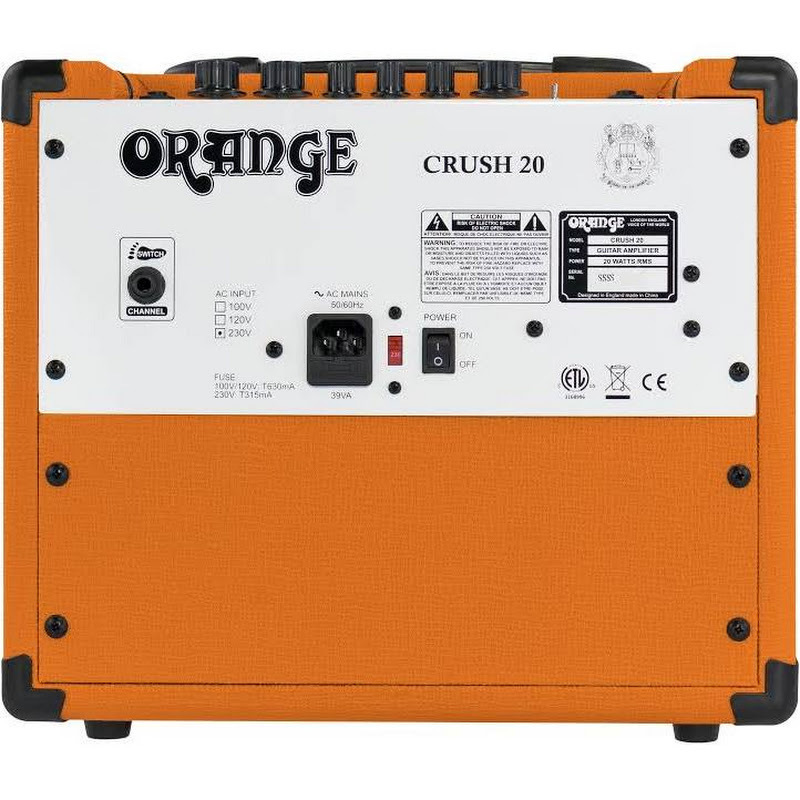 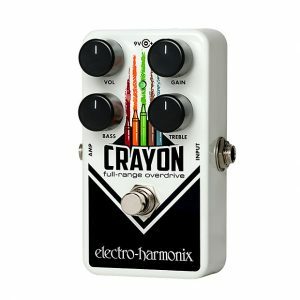 The Crush 20’s highly effective 3 band EQ section allows for huge control over your sound, from bold vintage colours to scooped modern tones. 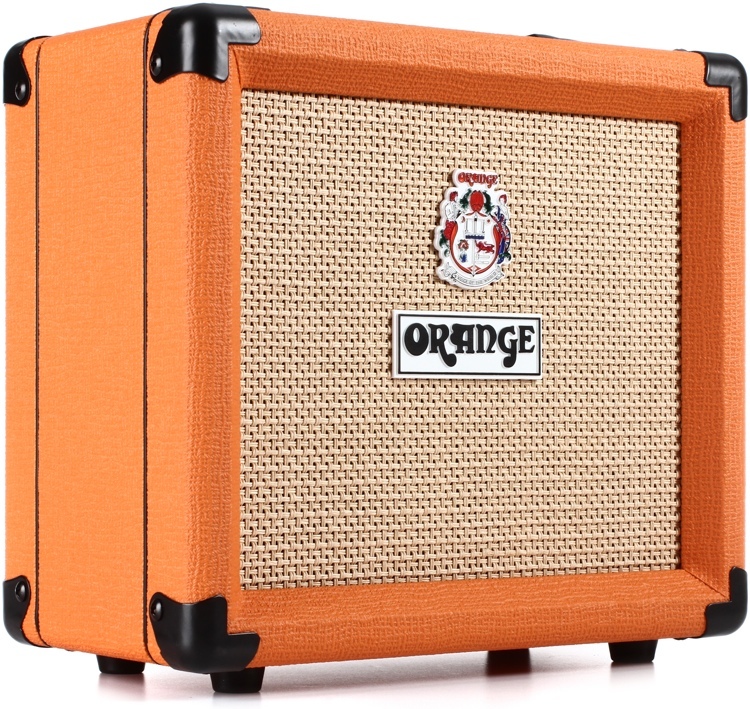 CABINET SIMULATION The headphone/line output includes our new CabSim feature, faithfully emulating the sound of a mic’d Orange cabinet loaded with our flagship Voice of the World speakers. 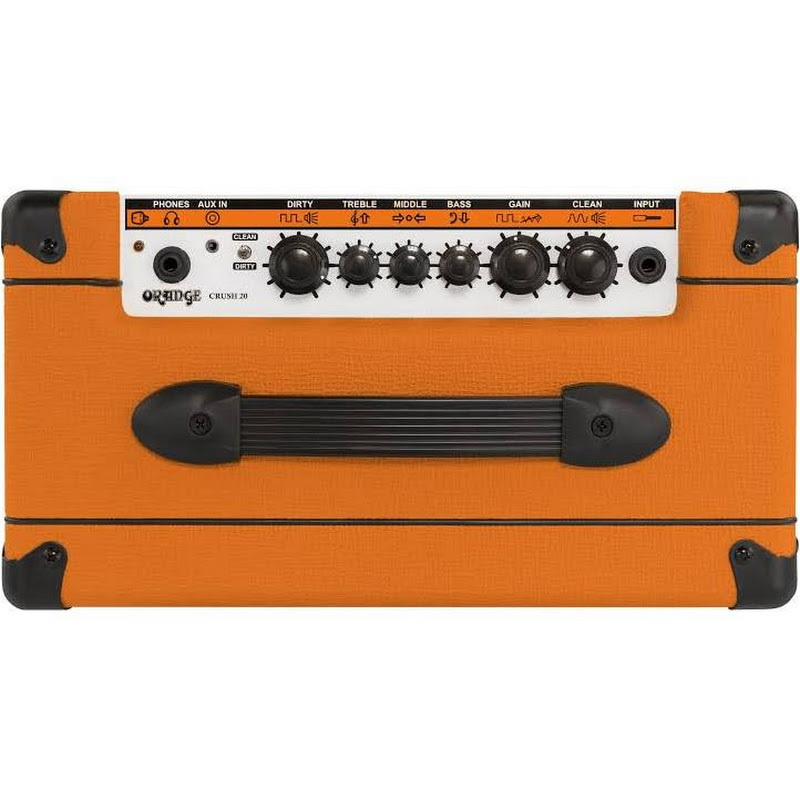 Use headphones for silent practice or connect to a mixer/recording console to capture huge, authentic Orange tones in the studio.